Over the lake from Samfya, in the Northern Province of Zambia, lies a little village almost totally dependent on fishing. "It is a poor village, as poor as I have ever seen in Africa." says the BHW Africa Director. In the 1970's/80's it was possible for men to support their whole family with food and education through fishing. However now the area of Chaba has been decimated by the AIDS pandemic which has all but wiped out this generation. This combined with a doubling in the population of the area has meant fish numbers have dropped to levels where it is not economic to be a fisherman anymore. Many older people are now having to look after orphans in the area, with difficulty in providing them with support. The seven churches in the village have got together and identified 230 orphans and vulnerable children who need assistance, especially with schooling. This is being achieved through a fund that is reducing each year (it will phase out in 2019), as households are being helped by training and micro-loans in farming and business. 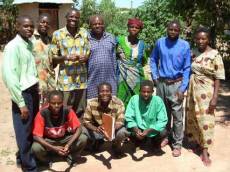 Bright Hope World has been partnering with a Bible School in Samfya, Zambia, for a number of years. One of the staff members comes from the village of Chaba. It is a fishing village with many vulnerable children. The churches in the village got together and decided to put together a concerted plan to care for the needs of these children. They approached Peter Chomba, the Bible school staff member, to see if Bright Hope World would assist. We first visited the place in 2005 and it was obvious these people were serious about helping their own people but they had few resources to use. In the subsequent time they continued to assist the children without our help. They established gardens and helped some children to get to school but it was way beyond their capacity. BHW team members visited the partnership a number of times and in mid-2007 we decided to go ahead with defining the strategy to commence funding for the start of the school year in January 2008. There are currently 11 secondary aged children who remain registered with the group as they finish school. Not all of their school requirements are being funded by Bright Hope World as the costs continue to rise each year but the guardians are able to take up the shortfall due to farming training and micro-loans improving household incomes. For the 2018 growing season approximately 312 families were on the programmes for rice or maize growing, or small business loans. This season the first micro-loan beneficiaries will graduate off loans onto a savings programme. The most impressive aspect of this partnership is the leadership team. They have developed an organisation and a strategy and are doing the work despite the assistance from outside. They represent a wide range of churches and have pulled together a well organised committee and team. 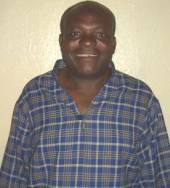 Mr Chomba works as a lecturer at Samfya Bible School and attends the CMML church in Samfya. He is a graduate of GLO Bible School and has also received sales rep training, military training, accounting training (internal within BHW) and has done administrative work previously. He lives with his wife and five children. Mr Chomba grew up in Chaba. ROLE: Secretary - responsible for minutes, administration, receiving letters and helping with organisation. He also runs and manages the micro-loan programme, a job which he excels at. CHURCH: CMML- Elder and secretary, administrator of finances, looks after members, has been a member since 1978. Mr Bobo is married with eight children. His first born finished Grade 8 but due to financial constraints had to go and work as a fisherman. Mr Bobo has 11 people living in his household. He supports them through a tailoring business. According to Mr Bobo the main problems in Chaba are that there is little opportunity for employment and there is poverty. ROLE: Vice Chairman - assists the committee especially if the chairman is out. CHURCH: Catholic Church – Reader and preacher. Used to be a member of CMML but changed when he moved to a predominantly Roman Catholic area. Mr Bobo lives with his wife and their eight children. He finished school and then worked in the post office. After this he worked as an untrained teacher for three years. He is now farming to provide for his family. He has received training in Chatropha growing and is currently growing these trees. He sells the seeds to a company which uses them to make diesel, candles, soap and a number of other things. CHURCH: CMML - has attended all of her life and is a deaconess and marriage counsellor. Mrs Mwape completed school up until Grade 6. She has done some domestic courses since then. She lives with her husband, six children, three orphans and six grandchildren. ROLE: Trustee - monitors board decisions and is responsible for operations if the board disbands. CHURCH: CMML - used to be a member of the Catholic Church. She is a counsellor and encourages people struggling in their faith. 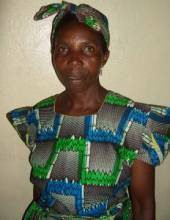 Mrs Bobeki is a widow who cares for her four children, four grandchildren and four other orphans. She has a small farm which she uses to support the family. - Formation of a group of care providers. This involves getting them together for training and encouragement. - Motivating people of Chaba to get an education which is the key to change. - Support for the orphans. This involves finding resources to help as many as possible. The partnership with Bright Hope World has gone a long way to helping with this. - Empowering families to have a higher standard of income. 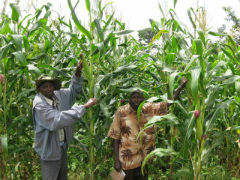 Through farming training, mainly in rice, cassava and maize cropping, and micro-loan programmes for agriculture and small business. Cecilia has lost her husband and has seven children from him that she has to care for. One of them, Bennett, who was on the CCCG orphan programme finished Grade 12 in 2012 with good results and has moved to Kitwe to live with his uncle. The other six are still at home with the eldest who is 19 in Grade 8, and two are yet to start school because they are too young. She supports the family by farming and business. She farms maize and cassava - around 1 lima for each. Her business is fish mongering, where she buys dried fish in Chaba from fishermen on the lake and then goes with it on the bus to the town of Luwingu which is 60km away. She sleeps at the depots in the town market while she is there because it is cheap. She normally buys a bundle of fish which takes her about one week to sell. Then she returns to Chaba for a few days, buys more fish and travels again. There is a fishing ban for three months on the lake during the spawning period for the fish, so she does this business for seven months of the year. 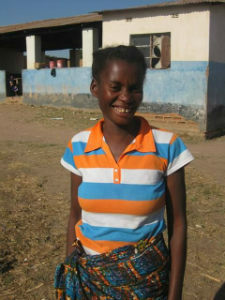 She is not concerned about leaving the children so often as the 19 year old looks after the household and does the cooking, and the two small children are looked after by neighbours during the day when the older girl is in school. She is thankful for the loan that has helped her to send the children to school and to feed her family. She is paying 800KR per term for the four children still in school. Shadrick is probably 12, or maybe 13 or 14 but is small and looks the size of an eight year old. He is in his first year of school, Grade 1. The fees were paid for by the church. There are no boys his age in his grade. When I asked him if he wanted to go to school next year, he said, ‘No.’ After some coaxing from the adults he said he would like to go. He does want to learn to read and write. Shadrick would like to be a fisherman, then after more coaxing he said a pastor. 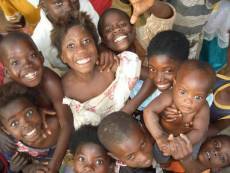 They attend the United Church of Zambia. This church sometimes helps them. Shadrick likes playing football with his friends. During the interview there were plenty of kids hanging around with him. They rely on any food that they can get from Christians. Shadrick goes out fishing after school. They do not pay him but he gets to eat food. He also helps grow cassava for somebody. They would like to see the committee being able to provide for them food, clothing, books, pencils. Shadrick would like blankets, uniform and food.